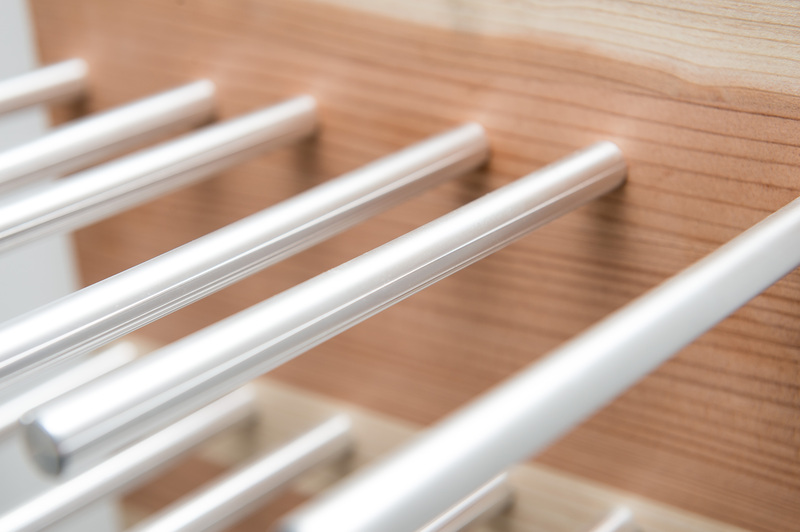 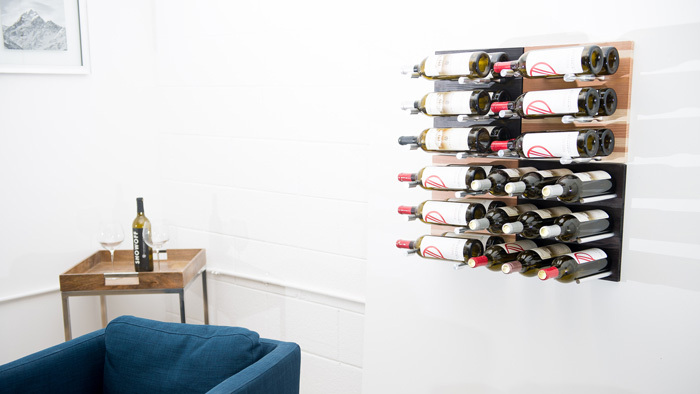 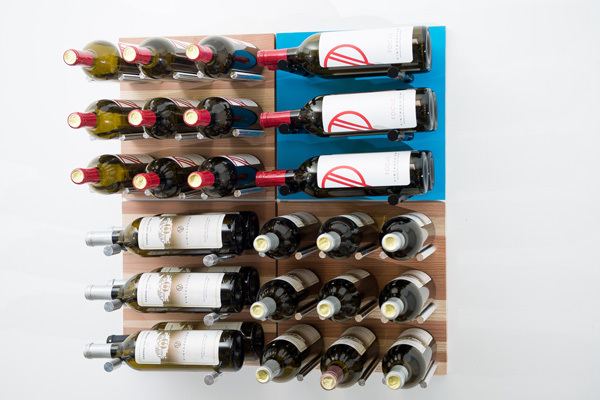 For those who love the natural look of grain — or want to paint to match their style — the Au Naturel Grain & Rod panel kit combines our patented label-forward and chic cork first wine racks set on beautiful, natural American redwood. 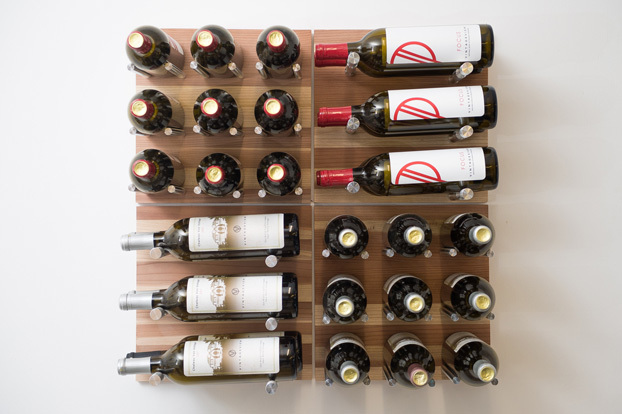 For those who love the natural look of grain — or want to paint to match their style — the Au Naturel Grain & Rod panel kit combines our patented label-forward and chic cork first wine racks set on beautiful, natural American redwood. 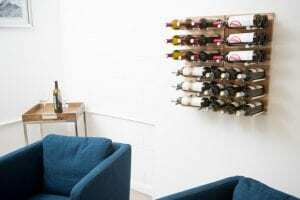 You can paint to match your decor or let the natural beauty do all the work in your residential or commercial wine display. 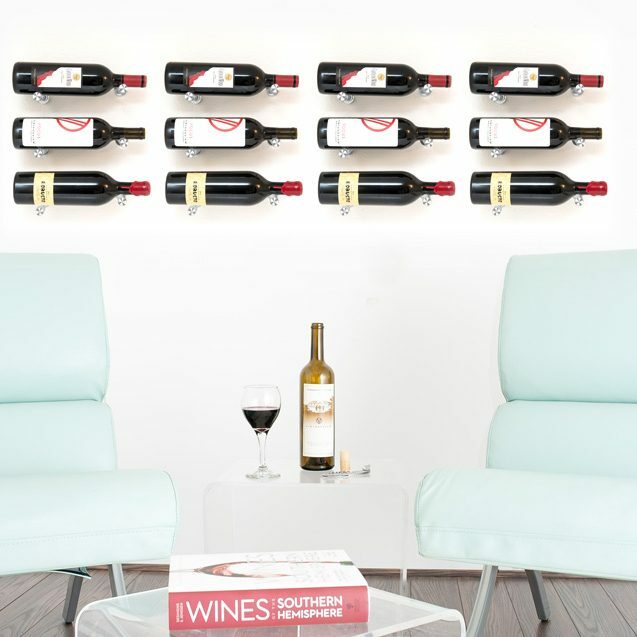 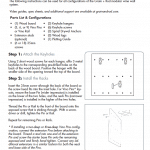 This 30-bottle kit contains 4 separate 12.75×12.75in boards that can be easily installed to any wall, even drywall. 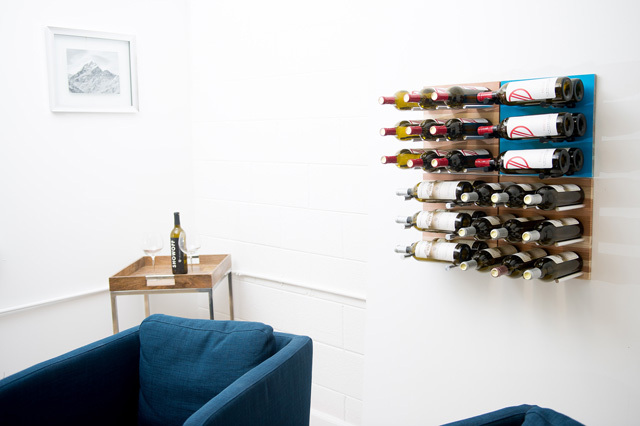 These panels are great accent pieces in larger cellar designs using our patented Wall Series systems as well.